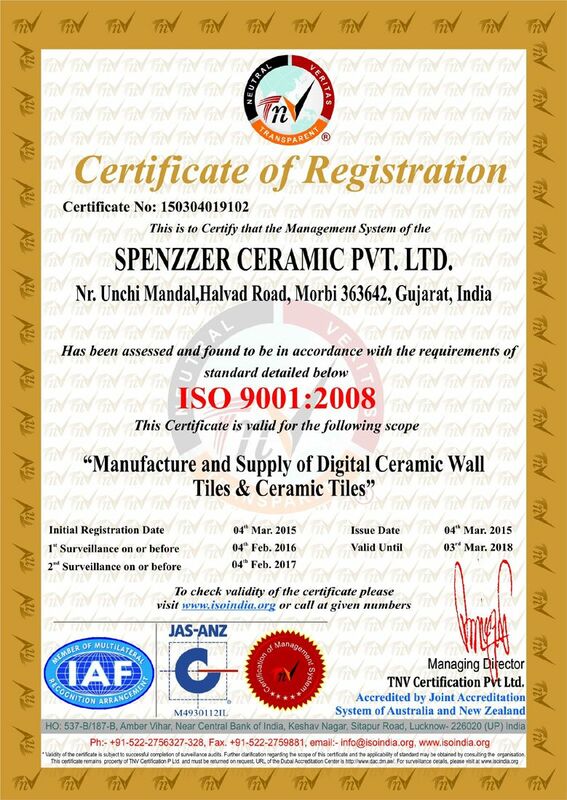 Spenzzer Ceramic Pvt Ltd is manufacturer of lucrative ceramictiles in India. It has an annual capacity of 5 mn. sq. meters in a plant located near Morbi in Gujarat. 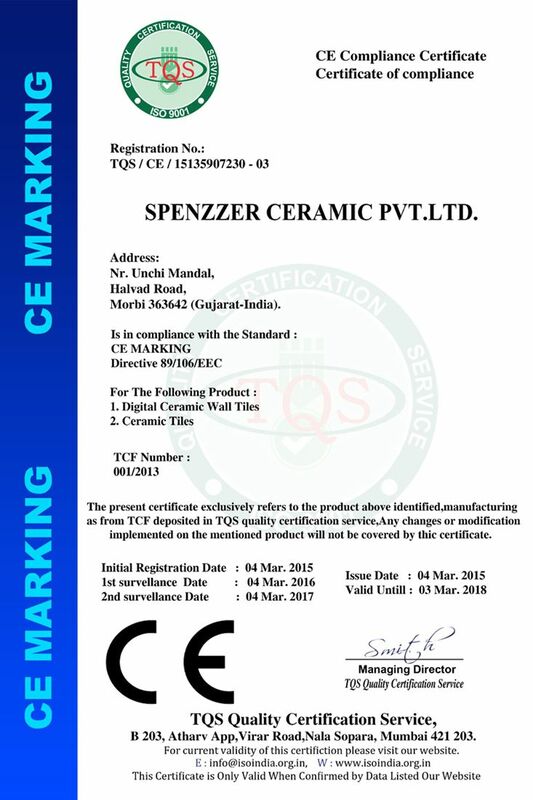 Spenzzer Ceramic Pvt Ltd can find the sharp vision of marketing, global network and powerful backbone of quality. The company cares the vision to cater world class ceramic tiles. It believes in superior quality of ceramic tiles with a sharp vision on modern technology with modernized art work. The ceramic industry has always been the most tradition-driven units of manufacturing. We at Spenzzer Ceramic thought something different and made the unit technology-intensive. Manufacturing tiles and delivering them in market have never seen the new thinking and new ways of application required dedication of the entire team. We brought in that effort to fill the gap of most-sort out unit of professional tiles manufacturing. The manufacturing to testing to final dispatch, we at Luton uses the best technology and delivers the best results. We have also dealt with several other major manufacturers, but have always appreciated the service provided by Spenzzer Ceramic. The sales & marketing team, as well as the senior management of Spenzzer Ceramic have always strived to provide good service.